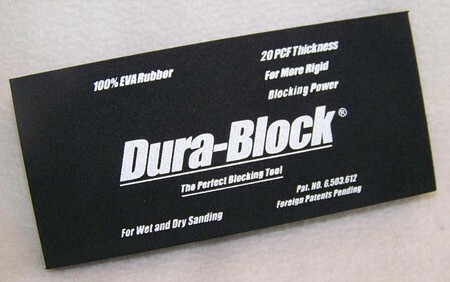 AF4405 Scruff Sanding Block This block is designed for sanding and prep work. It allows for easy use and much improved durability and firmness. Made of 100% EVA Rubber. Use for wet or dry sanding.